OCTAGON FLOOR TILES are great for pre-war homes — 1920s, 1930s, 1940s — and then some colorways came around again in the 1970s. 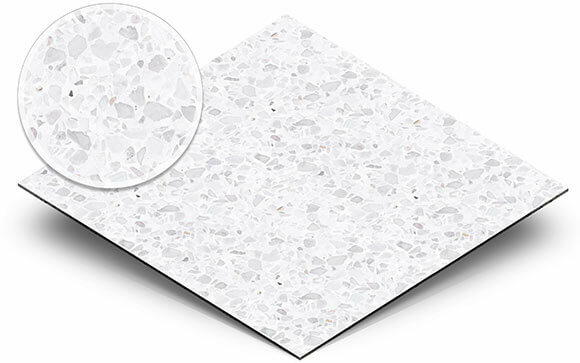 This tile style can work, I think, for either a vintage style bathroom or kitchen floor, and that dot gives you a nice flourish of color to play with. 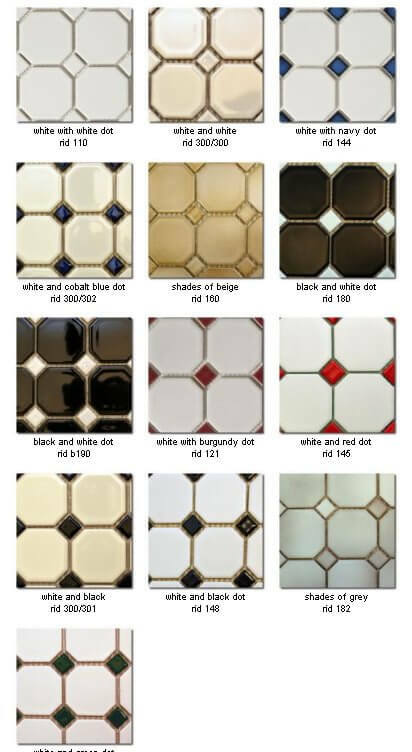 Nemo Tile has the largest selection that I’ve seen yet of colors for the main tile and the dot. 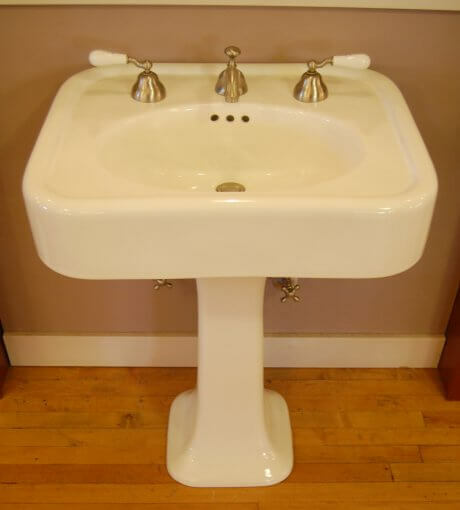 Looks like they have a glossy and satin white, a glossy and satin black, and for that 70s house, shades of beige and shades of gray. What a hoot, I love ’em. For dots: white, black, navy, cobalt, red, burgundy, green and the 70s beige and gray. 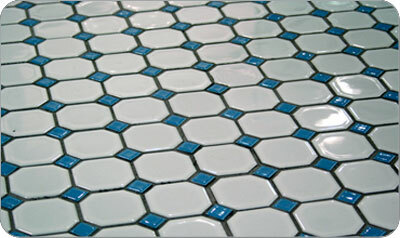 Nemo Tile octagon ceramic floor tile. I cannot find this anywhere on Nemo Tile’s site. Why don’t you give them a call. Sounds like it’s discontinued, but perhaps they have some left.